Benefit from deep and reaffirming meditation. How would you like to experience the Theta brainwave state, just by listening to an audio MP3? It’s easy. Just listen to the Theta Shot audio. The theta brainwave state is typically associated with deep meditation, creativity, and the ability to access your subconscious mind. 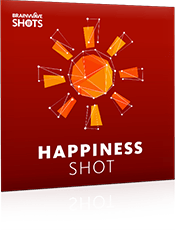 The Theta Shot uses special ‘brainwave sounds’ to replicate the theta frequency patterns in audio. As you listen, these brainwave sounds activate the theta state, enabling you to switch off from the outside world and focus your attention inward. It does this using ‘brainwave entrainment’, a proven area of science which has been actively studied for over 100 years. The result? After listening to this shot, you’ll enjoy profound meditation. 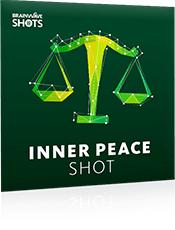 You’ll experience deep relaxation, getting the space you need to reflect and enable insights to flow effortlessly. 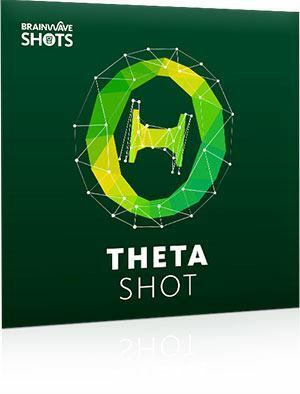 Our Theta Shot will help you enjoy the theta state in just minutes. The Theta Shot audio lasts just 15 minutes. As soon as you've listened, you'll enjoy all the benefits that come with focused and meaningful meditation. 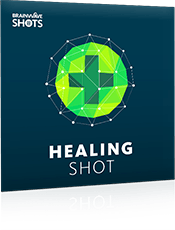 Your album also includes an extended 30-minute version of the Theta Shot, which will further enhance the results you get. You’ll also receive 15- and 30-minute brainwave-only audios, so you can listen without our ambient background sounds, or mix with your own music. The Theta Shot is completely safe* to use. It simply activates your brain's natural frequencies, on demand. Full 30-minute protocol: The session touches on the complete theta range from 6.5 Hz to 5 Hz. The regular audio mix also contains a light, meditative music track combined with gentle rain ambience. The 15-minute versions contain a compressed version of this protocol. Get ready to enjoy the theta brainwave state! 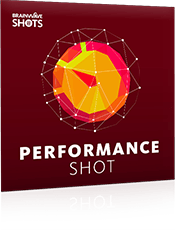 Discover the Theta Shot today and prepare to experience it for yourself.